the ability to inhibit impulsive actions and reactions. Emotional control is one of the four core skills essential to healthy and successful entrepreneurship. Let me tell you about another safe, effective, well-tested approach for anxiety, insomnia (and depression). It is a form of cranial-electrotherapy called Alpha-Stim. It is a user-friendly, handheld device the size of a cell phone. It requires no practice or effort by the user, and it can be used while doing most other activities except driving. 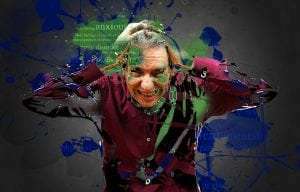 Moods and emotions are controlled through electro-chemical signals in your brain. When these signals aren’t functioning properly, the hormones and neurotransmitters that regulate your emotions can become unbalanced resulting in an anxious state. The Alpha-Stim device generates a signal that produces a waveform conducive to calmness and a better state of mind − the Alpha frequency (8-12 Hz). The Alpha-Stim has been very helpful with many of my clients. For those that notice no change with the Alpha-Stim, other approaches such medications or neurofeedback may be more helpful. To learn more about the Alpha-Stim go to www.alpha-stim.com or email info@epii.com. 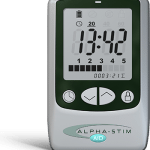 If you are local to the Boston MetroWest area, we offer a personalized Alpha-Stim demonstration and educational session at the Hallowell Center in Sudbury, Mass. If you’d like to make an appointment call 978 287 0810. We don’t treat disabilities; we help people unwrap gifts. When you come to The Hallowell Centers, you leave with hope and optimism. Watch Dr. Hallowell explain this analogy. Dr. Hallowell’s books, audio and apps, and More about ADHD. I almost never thought about the odds I was actually beating every day. But when I looked back at my childhood and wrote about it in my Memoir “Because I Come From A Crazy Family The Making of A Psychiatrist”, and when I looked at the studies of kids like me, I had to acknowledge the elephant in the room. How is it that I was where I was? What had happened? How on earth (or elsewhere) did I beat those odds? Learn tips and more about beating the odds in my article on “Beating the Odds” in Psychology Today. X-Men – Superheroes that are powerful, potentially dangerous, yet are capable of so much good. This is the dramatic conflict in Marvel comics and the hugely successful Marvel movie franchise. People with ADHD – Superheroes with brilliant minds, who can fall astray, yet are capable of so much good. This is the dramatic conflict of everyday life for many people with ADHD. In Marvel’s comic series, the X-Men attend the Xavier Institute. It is a training site to help them explore and refine their powers. The Institute helps them accept their differences, bond with similar individuals, and build confidence in themselves. Upon leaving, they are ready to use their strengths to better the outside world. What if there was such a place for people with ADHD? What if we stopped trying to adapt people with ADHD to the outside world, and instead created a place where their strengths were nurtured and refined. I discovered just such a place called InventiveLabs. It is a new research lab, with an associated business incubator, whose mission is to capture the brilliance and creativity of high-ability ADHD and dyslexic individuals. The Lab will be opening in September and they are currently recruiting for their first team of young adults, called Inventives. Some ADHD traits can be like super powers. Successful people with ADHD, like Bill Cosby, Charles Schwab and Richard Branson have excelled in their field. Characteristics of people with ADHD include the ability to be hyper-focused, creative, artistic, visionary and inventive. InventiveLabs will explore these advantages with young adults in a structured environment to help them establish their careers. The founders of the Lab are serial entrepreneurs who have been involved with many start-ups. Along with therapists, life coaches, and facilitators, they will be the guides that lead the Inventives to reach their potential. People with ADHD are natural entrepreneurs, and a targeted outcome of the Lab is to assist them in starting their own business, either as an individual, or as part of a team. Alternatively, the Inventives may secure employment at a larger organization as a result of the work they complete at the Lab. Or, they may decide to enter or return to college because they found their passion and desire additional education. Many years ago, people’s lives were improved by putting a name to ADHD and learning methods to manage it. InventiveLabs plans to take it to the next level and demonstrate the advantages of ADHD to the world. The goal is for society to realize that people with ADHD should not be forced to adapt to society’s needs. In reality, society needs to adapt to the needs of people with ADHD in order to thrive. Every society needs its X-Men. You can find out more about the Lab at www.inventivelabs.org or by emailing the company at info@inventivelabs.org. Anxiety–or what I call “toxic worry”–is rampant among children these days. Ask any school teacher and she or he will tell you that kids are worrying far more than they did just a decade ago. Not necessarily rising to the level of a diagnosable anxiety disorder, like obsessive compulsive disorder or generalized anxiety disorder, toxic worry nonetheless is really bad for a child’s health, school performance, and sense of well being and security in the world. These kids really do need help. Aside from obvious signs, such as a child sharing many worries with others, or complaining of various somatic complaints or missing school due to minor illnesses, here are some less obvious signs that your child–or any child–may be suffering from toxic worry. 1. The child just “isn’t himself” or “herself”. Nothing specific, but the sparkle has left the eyes, and the usual buoyancy has sagged. The once-happy child has been replaced not by an obviously unhappy child, but a child who is not the formerly overtly happy child. 2. The child is not sleeping soundly, and wakes up tired. 3. The child is unusually clingy, not wanting to be left alone when normally he or she is fine alone, and has trouble going to bed without being tucked in or read to. 4. The child asks many questions about the state of the world, the health of parents and relatives, the health of the family pet, and the state of parents’ marriage (when normally the child does not ask these questions). 5. You notice little cuts, bruises, and other marks that could be the result of the child picking at his or her skin, or you notice fingernails bitten down to the quick. 6. The stories the child writes for English class at school reflect a dark or apprehensive tone or describe impending doom or bad times. 8. The child develops various superstitions, not to the level of OCD where the superstitions have to be obeyed, but just little new habits, like wanting to triple check that the doors are locked at night or that the toothbrush is thoroughly rinsed out. 9. The child spends inordinate time in escapist activities, like on-line games, fantasy literature, or science fiction movies. 10. The child does not volunteer for new activities, new trips, new adventures, or even to try a new restaurant, wanting instead familiar people, places, and routines. 1. NEVER WORRY ALONE. This motto should be emblazoned on every person’s brain, regardless of ago. Connecting with a trusted other is BY FAR the best immediate remedy for toxic worry. 2. Get the facts. Toxic worry is usually rooted in lack of information, wrong information, or both. Do whatever you need to do to get the actual facts. 3. Based on those facts, and with the person you turned to to worry with, MAKE A PLAN. When you have a plan you feel more in control and less vulnerable. Toxic worry derives from feeling low on control and high on vulnerability, so when you reduce feelings of vulnerability and increase feelings of control, you reduce toxic worry. Making a plan does this. If the plan does not work, you revise the plan. That’s what life is all about, revising plans that didn’t totally work. Learn how the Hallowell Centers Can Help You.